St. George’s is known for being a joyous parish. We have a lot of fun! From New Year’s Eve game nights to pizza making parties, from sports outings to movie nights, and of course group dinners, we have a great time together. And since we love to party, we have a variety of major celebrations and events each year. 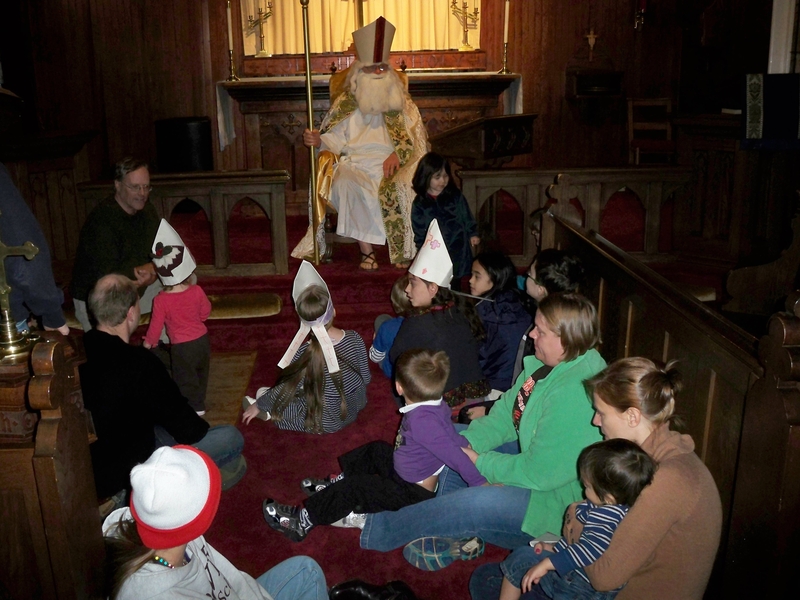 Our kids (and adults) get a special visit a few weeks before Christmas when St. Nicholas arrives and we celebrate his December 6 feast day. At St George’s that means…it’s time for a party! We gather to hear the stories about St. Nicholas, who was Bishop of Myra (in what is now Turkey). He is remembered by the Church for his generosity, kindness towards children, and care for those in need. The party always has lots of good food, an opportunity to create something special (perhaps an art project or Christmas cookies for the military). In keeping with the spirit of Nicholas, we sometimes ask people to bring a donation for one of our local outreach projects. This is a much-loved tradition at St George’s and a wonderful time for all ages. 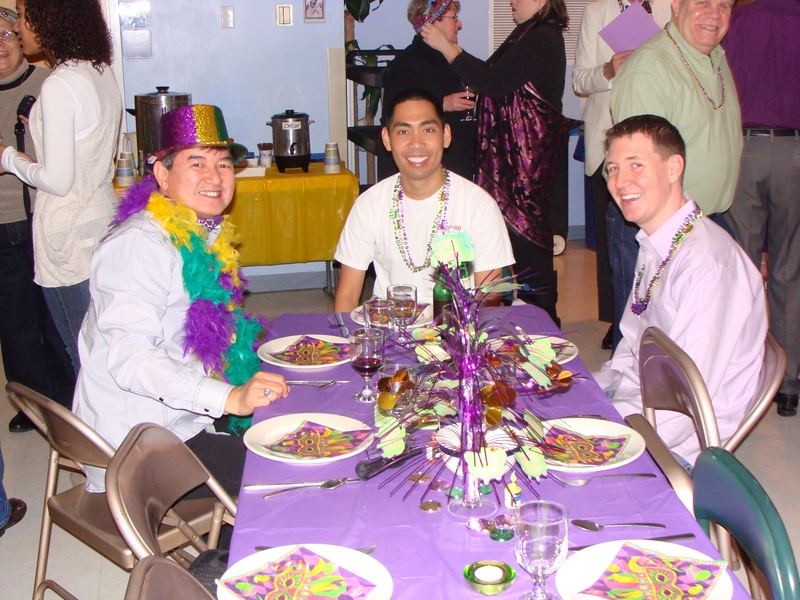 We create a little bit of New Orleans in the parish hall on the weekend before Ash Wednesday to celebrate Mardi Gras. Draped in beads of purple, gold and green, we feast on foods with a Louisiana flavor, share a King Cake, and dance to favorite tunes. Some folks take the opportunity to create crazy costumes chosen to reflect a suggested theme. The costume judging is always good for a lot of laughs. Our silent auction creates good-natured competition for special services, the works of parish artisans, and other prizes. This event is great fun and a great fundraiser for St. George’s. Recently St. George’s started a new tradition that is already becoming a highlight of the year. For one weekend we become St. George’s in the woods as we set up camp in Greenbelt National Park, just a short drive from our church. Campers set up tents or trailers and enjoy nature, games, and good company. S’mores and popcorn at an outdoor movie add to the fun. We share a special outdoor service on Saturday evening. Our Sunday 10 am worship service is also held outside, and we offer an indoor service at the church on Sunday morning at 8 am. The melding of fun, adventure and spiritual experience makes this event a winner for everyone.